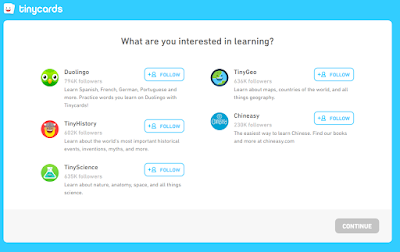 Tinycards is a free service from Duolingo that provides quick review activities in your web browser or on your iPad. 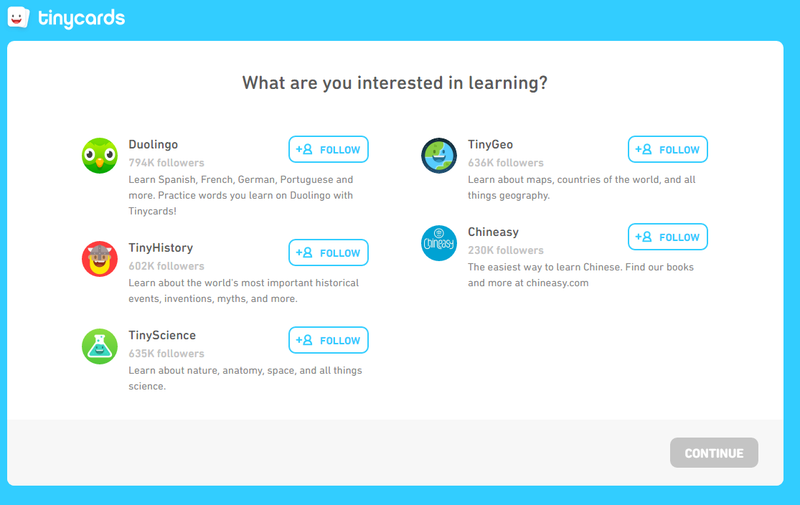 Tinycards are essentially multimedia flashcards with a few quiz questions interspersed between them. The idea being that students will flip through a few digital flashcards then answer a question or two to test their recall of the topic at hand. Here's an example of how Tinycards works. In the geography section there is a collection of cards about the continents. Students flip a couple of cards that show students the name and relative location of a continent. After a couple of cards are flipped students are then asked a multiple choice question about the location of the continents. Then a few more cards are flipped and students have to answer a fill-in-the-blank question. There are Tinycards sets for practicing many languages including Chinese, Spanish, French, and German. History, geography, and science flashcards are also available in Tinycards. Registered Tinycards users can create their own sets of flashcards.